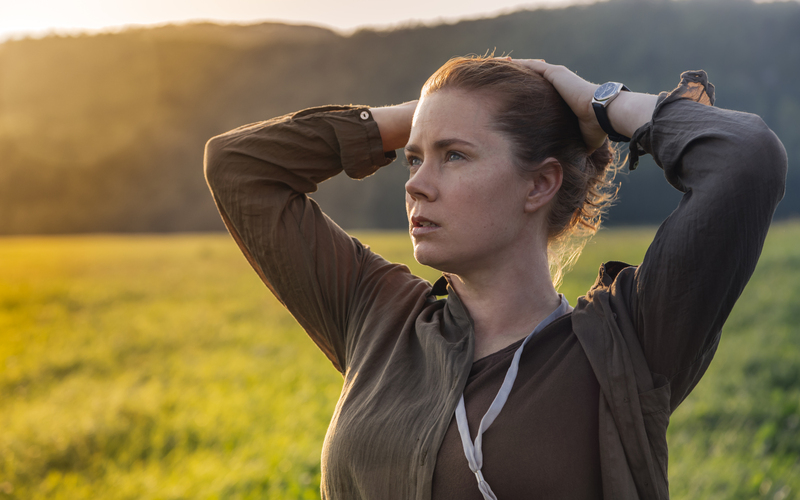 A low-key alien-contact film wielding enormous power, Arrival is a superlative experience, transcending the genre and transforming the mystery of communication into a private and yet monumental journey. Linguistics professor Louise Banks (Amy Adams) experiences the cancer-induced death of her teenaged daughter and separation from her husband. When twelve alien spacecraft suddenly land at various locations across Earth, Colonel Weber (Forest Whitaker) of the US Army recruits Louise to the Montana landing site to try and decipher the aliens' communications. Louise joins forces with theoretical physicist Ian Donnelly (Jeremy Renner) and together they lead a team of scientists entering the alien spaceship at regular intervals and attempting to understand the intentions of the visitors. Teams at the other landing sites, including China and Australia, are doing the same. The aliens are revealed to be seven-legged gigantic "heptapods" with a sophisticated language written in circular imagery. Louise makes good progress in deciphering the alien language, but when the heptapods seemingly start to make reference to weapons, the Chinese are panicked into an aggressive stance, jeopardizing all communications. 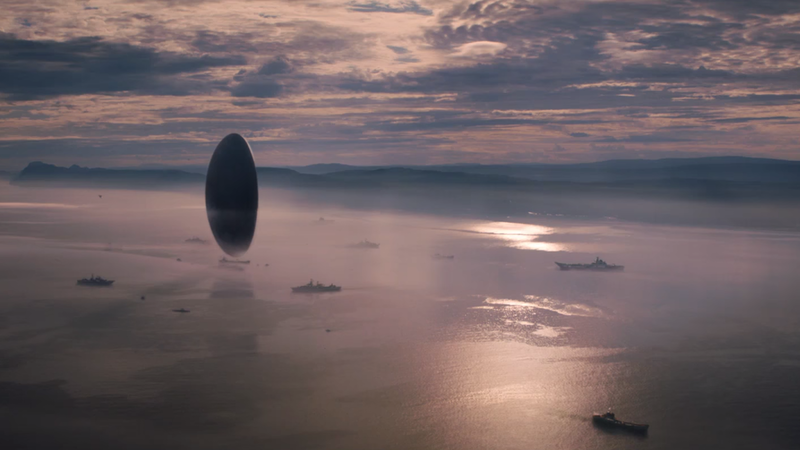 Directed by Denis Villeneuve and written by Eric Heisserer, Arrival is an exceptionally thoughtful treatment of an eternal question: how will humans react when aliens appear within our midst? With mistrust across national borders and tensions simmering closer to home between militaristic and scientific approaches to problem solving, the likelihood of a successful interaction with aliens starts with a low probability and stumbles on from there. The human propensities for doubt, fear, mistakes and misunderstandings always tilt the odds towards violence. Villeneuve and Hessler balance the film on this knife's edge early on and leave it there for the two hour duration. The aliens' intentions are unknown. They clearly possess incredibly advanced technology, and the implications to humanity could range from annihilation to a transformative leap forward. The military types represented by Weber and CIA Agent David Halpern (Michael Stuhlbarg) create just enough space and time for the civilians to do their work, but the threat of a turn to brutality hovers over Louise and Ian. And it is never a certainty that peaceful interaction is the appropriate response when human survival is at stake. Louise is in a race against time to burst through the language barrier, and every time she has to argue that "weapon" maybe means "tool", the level of skepticism rises. Arrival does not yield to cushy best-of-humanity-coming-together tendencies. Although there is tentative cooperation between the world powers grappling with the same aliens, the collaboration is tenuous at best. As the story unfolds, Louise realizes that the challenge of communicating between humans will be as critical as connecting with the aliens. Stylistically, the film triumphs with a muted, almost dour aesthetic representative of a hurried human response to a seminal event, punctuated by the elemental beauty of the alien spacecraft. The interactions between the human characters and across the species divide are difficult and slow. There are no quick breakthroughs, as there is no hasty bonding between Louise and Ian. The majesty of Arrival resides in Louise's mental awakening, a journey represented by flashes and visions she experiences as her immersive interactions with the aliens' language grow more intense. There are tantalizing but still opaque clues as to where her journey will end, and Villenueve builds the narrative to a breathtakingly magnificent climax, a resolution both deeply personal for Louise and comprehensively holistic for humanity. 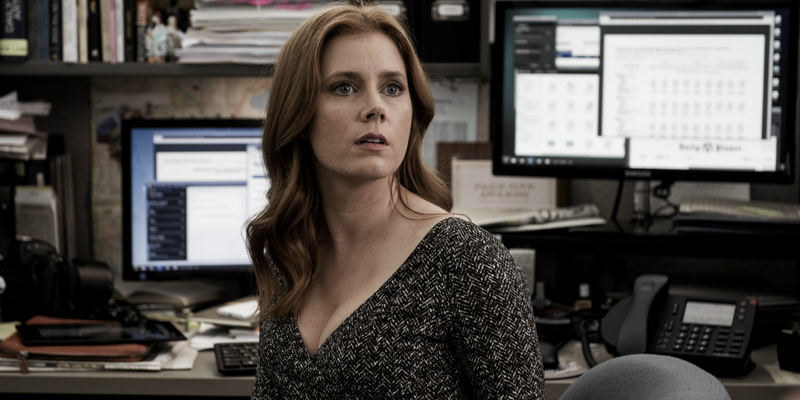 Amy Adams delivers a haunting performance, filled with the apprehensions of a woman thrust into an equipment-heavy world at the pointy end of historic events. Adams allows Louise to be at once determined, full of self-doubt, and wrestling with overwhelming events both within the alien craft and in her increasingly lucid consciousness. 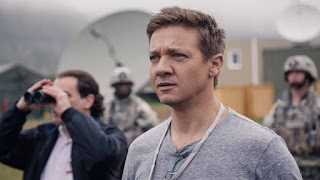 Broad in scope and yet profoundly intimate, Arrival takes its place among the great cinematic achievements imagining humanity's initial contacts with other beings.